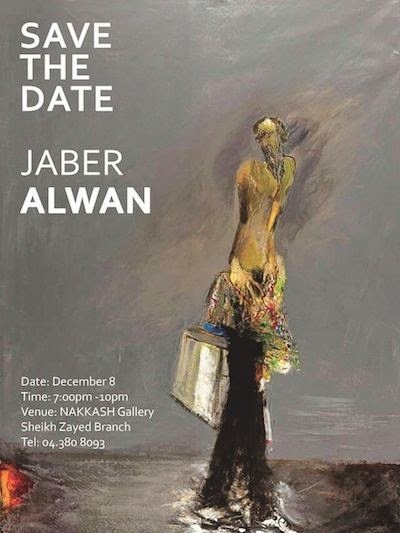 NAKKASH Gallery, known for its dedication to highlighting and showcasing contemporary design and antiques, brings yet another reputable artist into its inspiring mix, Jaber Alwan.Displaying his works at the gallery, Alwan is set to enrich art lovers with his vision as he expresses his life views on canvas. Alwan's brilliant pieces have been displayed across the globe and have effortlessly narrated the arbitrary color and emotion that goes into each stroke he fashions.Unveiling Jaber Alwan, the famous Iraqi/Italian name, NAKKASH will showcase the artist within the gallery next month. Venue : Nakkash Gallery, Sheikh Zayed Branch, Dubai, UAE.